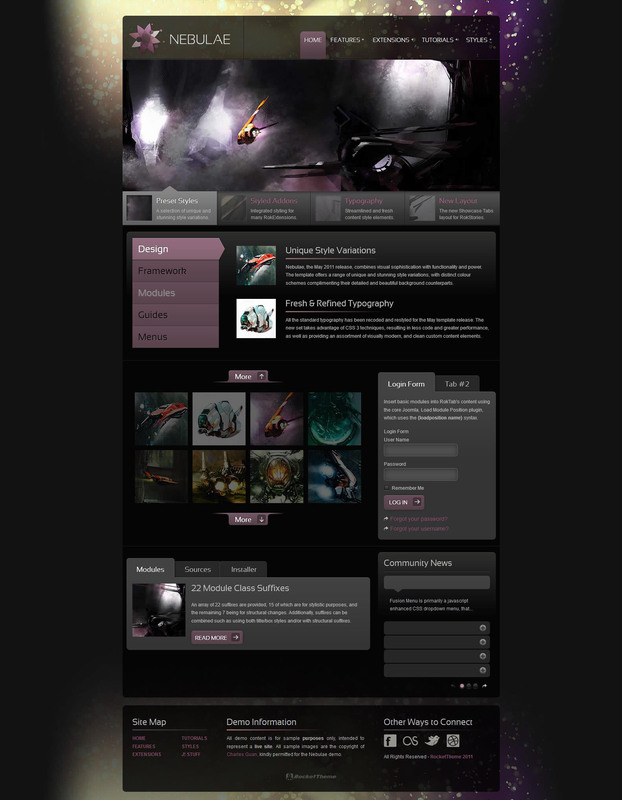 RT Nebulae - May stylish template developers RocketTheme, having 8 color styles. This template contains an elegant, subtle and conservative design, soft colors and shapes that can convey the maximum content of the site users. Nebulae is ideal for creating a website. Great functionality is achieved by template support additional extensions studios such as RokSprocket, with support for multiple types of assembly as well as the popular directory based on K2. Availability 8 preset layout design options combined with a huge amount of modular products, can meet the needs of any customer.